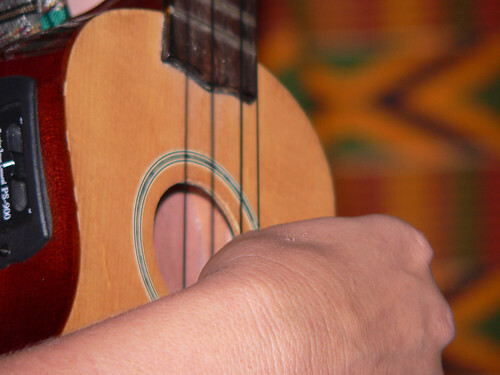 You are here: Home / Music / What’s not to love about the ukulele? 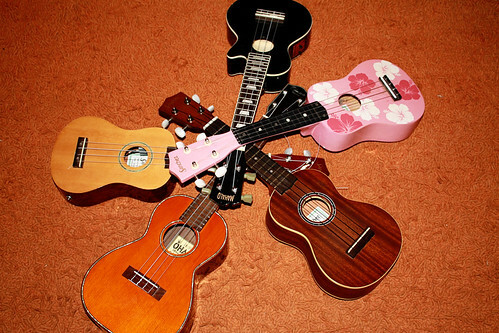 What’s not to love about the ukulele? I can’t quite believe that it’s seven – yes seven – years since I first picked up a ukulele and learned three basic chords and therefore started to play it. I’d always wanted to learn the guitar and that never happened but learning the uke was much more achievable. I still play it but I’m pretty much still a one-strum-wonder. I’m just not that dedicated I suppose. I’ve sat in front of YouTube clips that show differeing strumming methods but if it doesn’t click fairly quickly I lose interest just as quickly. I have had a lot of fun with it along the way though. I’ve had trouble staying in rhythm with my singing. Although I have to admit sometimes I just don’t have the mojo for it and other times I think I sound pretty damn good. One night I picked up the uke at about 11pm and started belting out a song. My son’s bedroom was the next room and normally he sleeps through quite a bit of noise. This time, however, he came out to the lounge with his face screwed up because of the light and a look of disgust and told me quite clearly that I was making too much noise. Suitably chastened I packed up for the evening. I think the most fun I’ve had with it is getting together with a group of people. There’s a lot to be said for other players hiding your mistakes and introducing you to songs you otherwise might not have considered. I’ve even performed in public. I’ve done this more than once and get a kick out of it even though my legs were shaking. More recently I’ve started ‘jamming’ with The Surfer and a friend of his. They play the guitar and I sing, and play the odd song with the ukulele so it’s getting a bit of an airing. I realised only recently that I haven’t got the ambition to become a great ukulele player, but I do enjoy picking it up every now and then to have a strum.